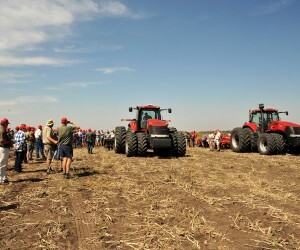 Case IH recently hosted a Commercial Training Camp for over 100 salespeople from the African and Middle East regions. The two-week training session, which took place from the 5th to 14th of April, was held in Parys, South Africa. The first week was dedicated to salespeople from South Africa and the second to salespeople from the rest of Africa and the Middle East. The Commercial training camp provided extensive first-hand information on the Case IH product range and its advantages and included competitive comparisons. The training focused on products and sales features specific to the respective markets and their customers. Highlighted products were, among others, the Axial-Flow 140 and 240 series, the Magnum and Magnum Rowtrac, Puma, Ecolo Tiger and True Tandem Turbo. During the practical training, the participants had the opportunity to get behind the wheel and test drive Case IH tractors and combines. Participants were accompanied and assisted by Case IH Commercial Training experts. They were shown the latest product advancements and enhancements and encouraged to ask sales related questions. “The training offered our dealers and their salespeople an excellent opportunity to experience in depth the Case IH product range and the power of the brand in the field,” explains Gavin Enright, Commercial Training Manager for Europe, Middle East & Africa. The two-week Training Camp was rounded off with a Customer Day event with more than 400 visitors from Africa and the Middle East attending. 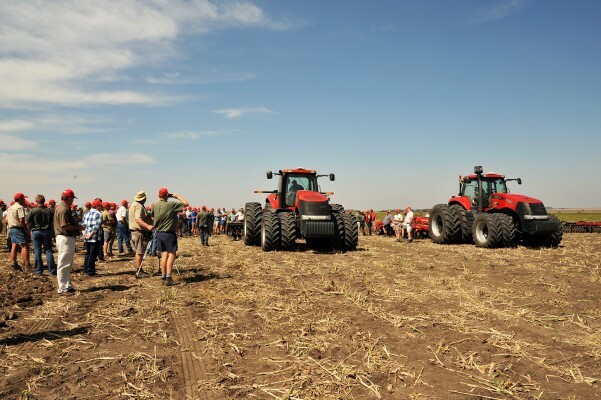 The practical training took place on the 13,000 hectare Cairo farm, belonging to a Case IH subdealer of Northmec (South Africa’s dealer) who is also an important customer in the region. “This kind of training gives salesmen and all the people involved a very good and fresh look at the newest improvements on the products, as well as their advantages. We also appreciated the hands on comparison between Case IH and other products on the market,” says Jaap. “The machines used at the theoretical and practical training were selected well to cover the whole range of product offering but I would say that the product that stood out above all was the new Magnum Rowtrac equipped with the CVT transmission,” says Jaap. An opinion of a dealer, but also of a relevant Case IH client. “Our Farming division produces agricultural products on 13 000 ha of land. The products we produce are Soya, Sunflower, Corn and Sorghum. We only use Case IH products on the farm because they are reliable and they deliver to their customers needs,” concludes Jaap. “The Case IH brand is a competitive brand worldwide. Our brand is diversified in all fields and can compete in every way. We have a complete product offering and can ensure farmers that we have everything to meet their expectations and needs,” concludes Coetzee.